Using weight loss shakes as meal replacements take the guesswork out of planning menus, works well when you’re on the go or at work, and aids in weight loss when used properly. Knowing how to make your own weight loss shakes, smoothies, and other meal replacements — and having the right recipes on hand — will help you reach your goal in no time. Do Weight Loss Shakes for Men Work? Weight loss protein shakes work better for meal replacements than juicing because nutritious smoothies provide a better balance of protein, carbohydrates, and healthy fats. A proper balance will help you feel full for longer periods of time, without feeling deprived. However, use caution when drinking shakes in addition to usual meals when you're trying to shed pounds. Shakes and smoothies can add extra calories (and added sugar if you choose sugar-sweetened protein powder or too many sugary ingredients). Replace full meals with weight loss shakes to help cut calories. Weight loss energy needs for men are generally between 1,500 and 1,800 calories daily, according to the National Heart, Lung, and Blood Institute. This is a good rule of thumb to follow, though your individualized weight loss calorie requirements depend on your frame size, initial body weight, and physical activity level. Aim to eat 300-500 fewer calories than your usual daily intake to lose 1 to 2 pounds per week. If you normally eat 2,800 calories daily, set a goal of about 2,300 calories instead to shed about a pound per week. This weight loss rate is safe, but also effective for long-term healthy weight management. Believe it or not, eating small, frequent meals throughout the day is one of the best weight loss strategies, according to a study published in 2014 in the International Cardiovascular Research Journal. Researchers found that eating six meals a day, each providing the same number of calories, led to reductions in body mass index (BMI), total cholesterol, LDL cholesterol, triglyceride levels — and increases in HDL cholesterol (heart-healthy cholesterol) in study subjects. But eating six meals per day can be difficult and unsustainable. We recommend eating 2-3 meals, but it all comes down to personal preference and finding what works for you. Therefore, if your weight loss energy needs are 2,300 calories a day, aim to eat about 500-1000 calories per meal with a healthy snack or smoothie to fill the gaps. Use meal replacements in conjunction with our free meal plan to develop a solid weight loss strategy. 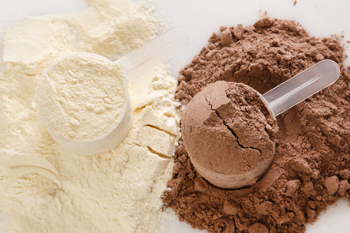 When using nutritious, protein-rich shakes as meal replacements, it’s important to include the right mix of protein, carbohydrates (especially fiber), and healthy fats to boost satiety, curb junk food cravings, and meet your body's nutritional needs. Choose from the following list of nutritious proteins to create a delicious meal replacement shake. Make sure your ingredients are free from added sugar. Getting in plenty of protein at meals provides you with a variety of weight loss health and wellness benefits. Protein helps you feel full from fewer calories, allows your body to burn extra calories and fat throughout the day, and helps you maintain lean muscle mass during weight loss. Be sure to add in some protein to your weight loss shake. Last but not least, add a tiny bit of extra flavor to weight loss shakes and smoothies to make meal replacements more palatable. Some of these ingredients also contain energizing caffeine to get you through mid-day fatigue. When creating your own nutritious weight loss shakes, you’ll also need a blender to blend together the ingredients — and ice cubes if you have them on hand. Having the right recipes on hand that are nutritious, taste great, and boost energy makes weight loss for men over 40 seem like a breeze. Try the following mouth-watering, weight loss smoothie recipes (rich in satiating protein) to get started with your weight loss journey. Nutritional information is provided by the U.S. Department of Agriculture's Food Composition Database. 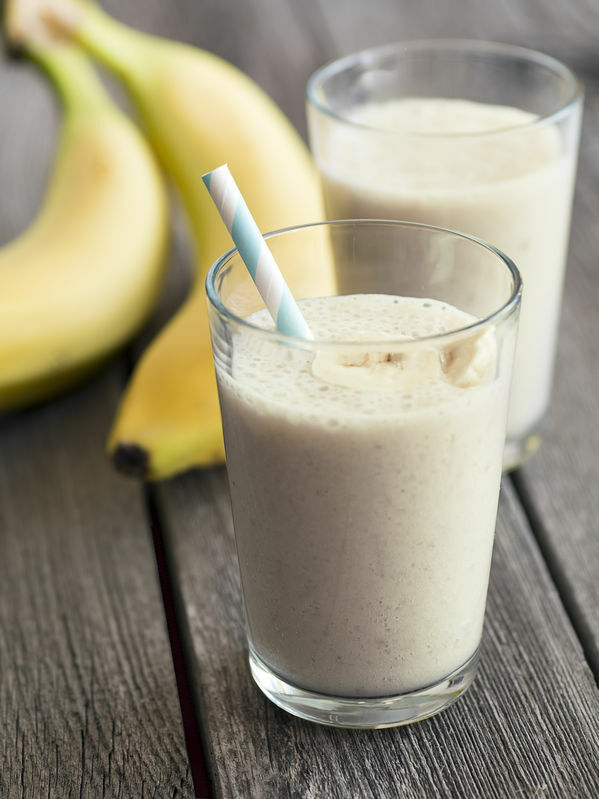 When you’re in the mood for something sweet but still nutritious and low in calories, give this flavorful chocolate peanut butter banana smoothie recipe a try. This apple cinnamon recipe tastes so delicious, you'll be shocked to know it works well as a weight loss meal replacement shake. It tastes just like apple pie! Because matcha green tea powder contains caffeine, this weight loss shake recipe gives you the extra boost of energy you need to get through long days. If you choose this flavorful berry, kale, chia protein weight loss smoothie recipe, you’ll be getting a shake packed with nutrients, and a quick boost of energy to beat mid-day fatigue. 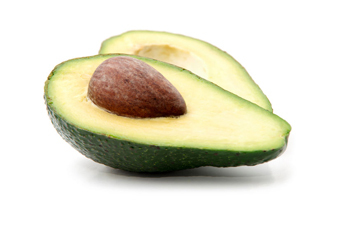 Avocado is one of the healthiest fats you can add to your next meal replacement weight loss shake. Add banana and other flavor-enhancing ingredients, and you’ll be pleasantly surprised. You’ll feel like you’re on vacation at a tropical island when choosing this strawberry coconut protein-rich smoothie for your next meal. When you’re ready for a quick pick-me-up, consider this delicious, nutritious caffeinated treat. Using protein shakes as meal replacements is just one component of a healthy weight loss program. Eat healthy foods, drink water before meals (aim for at least 2 cups of water when you first wake up, and 2 cups before each meal), and get regular exercise to boost your chance at weight loss success. Try to get in at least 30 minutes of physical activity every day. For meals that aren’t weight loss shakes, fill your plate up half full with veggies, and one-half full with a combination of nutritious proteins (chicken, fish, seafood, eggs, tofu, peas, or dried beans), whole grains, and healthy fats — such as oils, avocados, nuts, seeds, nut butters, and olives. Check out our FREE meal plan to get started with a healthy lifestyle. Be sure to get in plenty of sleep (7 to 9 hours each night), avoid stressful situations when you can, and find active outdoor hobbies to enhance weight loss. Avoid sitting for prolonged time periods by using a sit-stand desk, or taking lots of short walking breaks if you have a desk job. Your goal is to keep moving all throughout the day. If planning meals, menus, and workouts sounds like a tedious task, consider joining a structured weight loss program with proven success. Fit Father 30X (FF30X) is a weight loss program specifically designed for men over 40, and helps busy fathers lose weight, build lean muscle mass, burn belly fat, and stay healthy for life. When using FF30X you’ll have access to meal plans, menus, and customized daily workouts (with coaching support) to keep you on track with your weight loss journey. Build meal replacement smoothies into your regular routine when you’re on the go, in a hurry, or just don’t feel like cooking. If you’ve tried weight loss programs in the past and have failed, it’s okay! Fit Father 30X is easy to follow, and makes weight loss feel like a breeze — so don’t stress — you can do it! *Please know that weight loss results & health changes/improvements vary from individual to individual; you may not achieve similar results. Always consult with your doctor before making health decisions. This is not medical advice – simply very well-researched info on weight loss shakes for men.